We've been experimenting again in the kitchen and it turns out that our current Tea of the month, Mint Choc Chai makes delicious brownies! Minty and chocolatey... what more could you want? Start off by preheating the oven to 180 degrees and line a brownie tin with grease proof paper. Infuse 2 tbs of Suki mint choc chai in half a cup of hot water, making an intense infusion. Set aside to cool for about 15 minutes and then strain, to separate liquid and tea leaves. Whilst this tea brews, roughly chop up 200g of milk chocolate and 100g of mint aero. 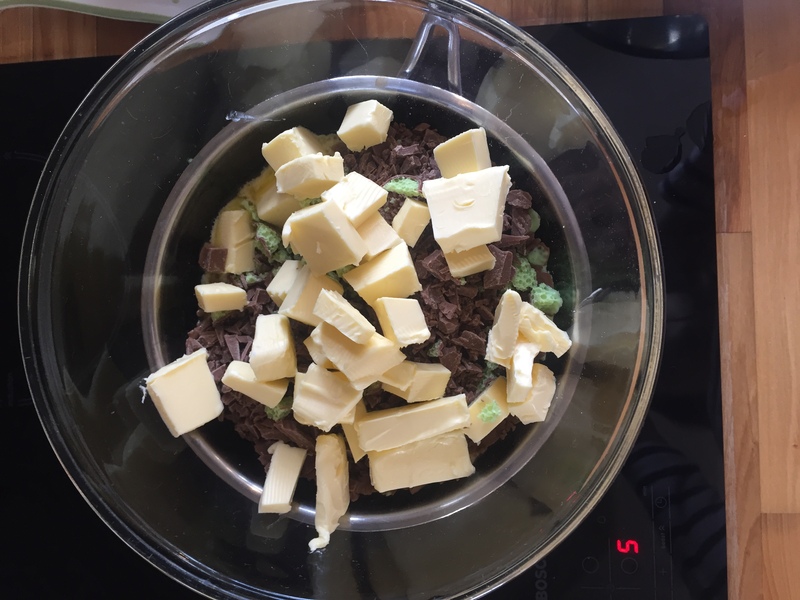 Then place chocolate and butter in a bowl. 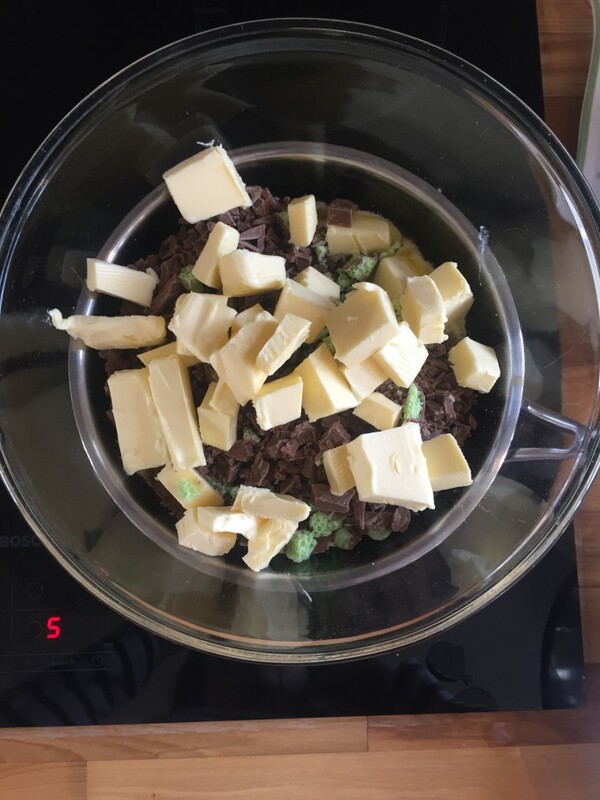 Set over a saucepan filled with about 2 inches of water an gently heat on a low heat to let the chocolate and butter melt, stirring frequently. 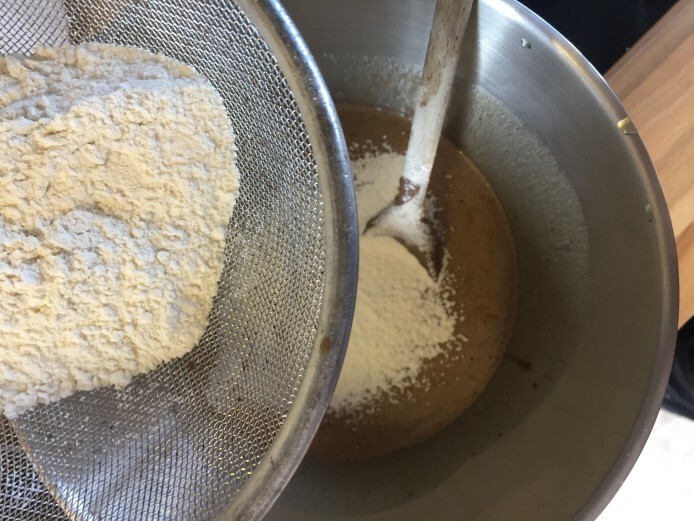 In a medium sized bowl, whisk together eggs and sugars until well blended. 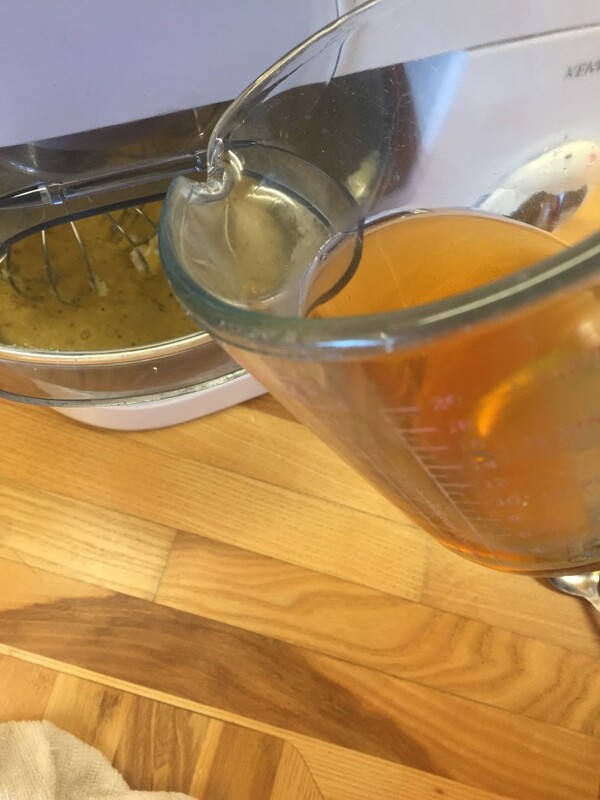 Add the cooled brewed tea and whisk to combine. 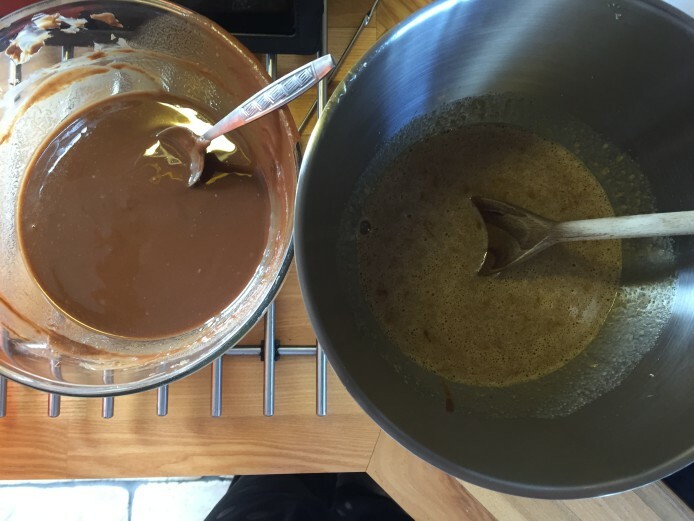 Gradually, a few tablespoons at a time , add the melted chocolate/butter combination to the egg mixture and stir to combine. Next add the sieved flour and remaining 100g of mint aero, mixing until smooth. Pour batter into prepared, lined brownie tin. Pop into the oven for 30 minutes. Leave to cool on a wire rack to cool completely before cutting. 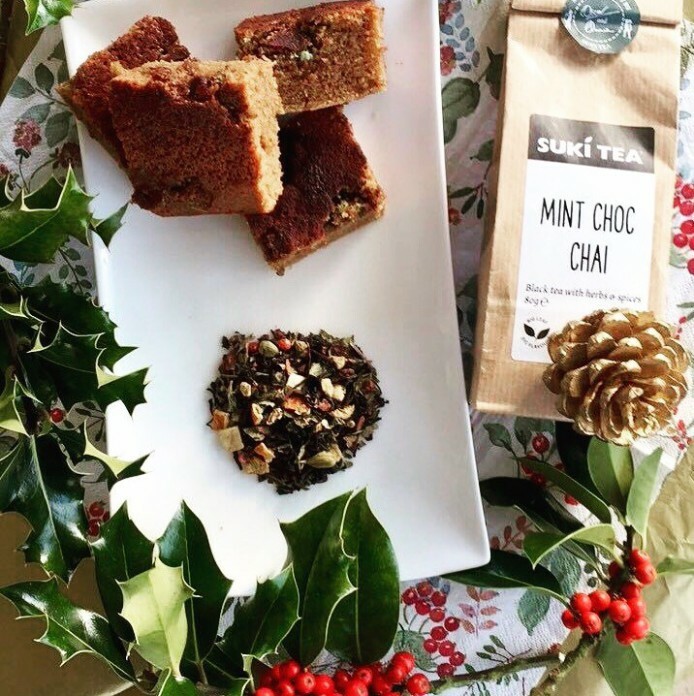 If you try out our Mint Choc Chai Brownies, we would love for you to share your photos with us on social media, using #sukitea... we might even send you a few Suki samples!